This week I had the honour to participate in a debate at the historic Oxford Union on whether “social media has successfully reinvented social activism”. The relationship between social media and social activism has become a critically important subject in the wake of the so-called “twitter revolutions” in Iran and Moldova, the use of blogs, Facebook and Twitter in the Arab Spring as well as Invisible Children’s KONY2012 viral campaign. Nevertheless, we are only just beginning to understand how social media in fact produces real-life results in the context of conflict, revolutions, and social upheaval. It was a fascinating debate and a wonderful event with an impressive cast of debaters. Speaking in proposition of the motion were David Vitter, US Senator for Louisiana, Mark Pfeifle, former Deputy National Security Advisor to President George W. Bush, Benjamin Cohen, Tech Correspondent at Channel 4 News, and Ella Roberston, a student at Oxford. In opposition were Dr. Christopher Carpenter, professor of Communications at University of Western Illinois, Matt Warman, the Consumer Technology Editor at The Telegraph, Robert Sharp, Head of Campaign & Communications at English PEN, and myself. I am very happy, proud and even a bit surprised to say that the opposition was victorious. While not directly related, in the wake of KONY2012, the question of how social media and social activism relate has been on the minds of all of us interested in international criminal justice. I therefore wanted to share with you a draft of the speech I gave on this increasingly pertinent subject. At the bottom of this post, you’ll also find a small bibliography with a few online sources which I found particularly useful in my preparation for the debate, especially for deciphering fact from fiction. As noted above, this is just the beginning of the debate. In that vein, I would love to hear what you think! There is no point in standing before you and denying that social media has changed how political and social activism is done. It clearly and obviously has. Despite this, social media has not, I will argue, “reinvented” the fundamental rules of social activism. To suggest so is to misunderstand what it means to do social activism and to be a social activist. We are told a very simple story about the relationship between social media and social activism. You have all heard it. Social media topples Arab tyrants. Social media leads to democratic elections. Social media can bring rebel leaders in the heart of Africa to justice. At the core of this apparently irresistible narrative is the belief that social and political campaigns are a success when they achieve massive online traffic and “go viral”. The problem here is simple. None of the above is true. An absolutely necessary condition for the effectiveness and success of a social campaign is building a political community of real-life, off-line physical human beings committed to a common cause. Take for example, Invisible Children’s KONY2012 campaign. It did not go viral randomly or because of celebrity endorsements on Twitter and Facebook. Beneath this popular veneer, is the reality that Invisible Children worked for almost a decade to build a network of like-minded individuals willing to drive across Canada and the United States in order to show the group’s latest films in schools and churches. It should thus come as no surprise that KONY2012 began trending on Twitter before the campaign video itself was released – as the carefully cultivated community of Christian youths in mid-sized American cities began tweeting. 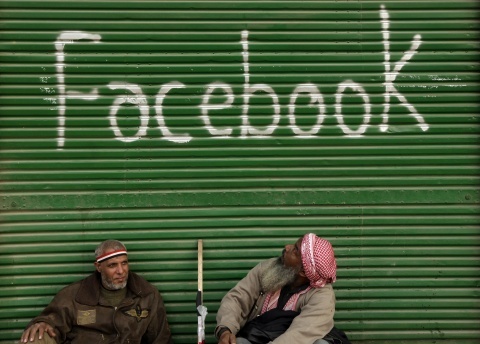 Consider too, the role of social media in the Arab Spring. It would be wrong to attribute the effectiveness and success of human rights and democracy campaigners in Egypt, Tunisia, Libya, Bahrain, and so on, entirely to social media. The opposition to these regimes had learned from decades of experience, training in human rights and civil disobedience. The people who bravely marched on Tahrir Square in Cairo and Green Square in Tripoli did so not because they heard about it on Twitter but because of real grievances; because of years of outrage and humiliation; because, to them, enough was enough. Part of the popular narrative also tells us that re-tweeters and sharers on Facebook themselves are a new breed social activists, ready at the whim to tackle tyranny and oppression, their iPads and iPhones proof of their commitment to liberal democratic values. Of course, they’re not the same type of activists. Instead, the popular and rather disparaging argument is that they are “slactivists”. Again, this is fundamentally misleading. Sharing and re-tweeting KONY2012 was a symbolic action, the merits of which we can debate. But it was symbolic action taken almost exclusively by people who were never activists in the first place. This helps to explain why Invisible Children’s campaign to “Cover the Night” – which required real activists – was such an epic flop. It bears repeating: it is the communities of real people on the ground who are the activists. They are the ones who confront, challenge and sometimes alter the very social and political fabric of their societies by making long-term commitments, making personal sacrifices and often putting themselves at risk. Twitter and Facebook hasn’t reinvented what they do. They have been doing it for years, sometimes decades before Twitter and Facebook even existed! Rather, we must understand that in this age of persuasion, social media is one of the tools available to social activists. But when social media is effectively employed in campaigns, it remains the activists, revolutionaries and dissidents who deserve the credit for challenging the status quo – and not social media itself. In short, tweets and facebook statuses don’t topple dictators and they don’t capture international criminals. Troublingly, the belief that they do may reveal a very uncomfortable truth in how we view the social and political struggle of others. Consider that the vast majority of tweets during Iran’s “Twitter Revolution” were made from outside Iran, by people in the West and in English. Indeed, only 20,000 people in Iran in 2009 used twitter, a paltry 0.00025% of the population! Consider too that KONY2012’s implicit message that the way to resolve the suffering of an entire region of Africa lies in the capacity of American students to share a video through social media and make Joseph Kony famous. The common denominator, it seems to me, is that we retain a desire to own the change and the ability of distant others to take matters into their own hands, even when we do virtually nothing – and retweeting is just that – to affect it. It is this self-reflexive view which drives the narrative that Twitter, Facebook, and the other social media we use, creates the change we want to see in Iran, Central Africa, and the Arab World. There thus exists a profound risk that, in attributing agency to platforms like Twitter and Facebook, we strip agency from precisely those activists who have sacrificed and taken risks to achieve it in the first place. Social media is, of course, a double-edged sword, used by undemocratic and repressive forces to plant farcical stories, stifle debate, monitor the masses and track activists. Sadly, these practices are often propped up software and tech groups in Western, democratic countries. As others have shown, an open internet and social media does not necessarily lead to democracy or transparency – it can act to strengthen authoritarian regimes rather than weaken them. Nevertheless, social media can be an incredibly powerful tool. Events like the Arab Spring would not have garnered as much international attention nor spread so rapidly had it not been for the effective use of social media by activists. What previously may have taken them years to achieve can now take days, hours or even minutes. But let us celebrate the possibility and potential of social media by being honest about its role and limitations. The fact remains: social media cannot reinvent what it means to do social activism, to be political, and to achieve social change. Social media platforms remain a necessary but insufficient condition for effective social and political activism. I’ll leave you with this. When, in 10 or 20 years time, we look back on the Arab Spring, will we attribute the causes and dynamics of the revolutions to Twitter, Facebook or blogs or will we respect that the upheavals and gains were achieved because of real people, in real communities, in real-time, with real grievances working to affect real change? I think it will be the latter. It should be the latter. And I hope so too. Above all, thanks to Sarah Kendzior for sharing her course syllabus for ‘The Internet, Politics, and Society’ – an invaluable repository of key readings. Also check out Sarah’s fantastic blog and follow her on Twitter. James Farrell: #KONY2012: A New Paradigm in Social Media for Social Change? This entry was posted in Activism, Advocacy, Iran and tagged Facebook, KONY2012, Social Activism, Social Media, Twitter. Bookmark the permalink. 12 Responses to Has Social Media Successfully Reinvented Social Activism? Very interesting debate. I would like to read more about what was discussed in this talk. Do you know if there is a recording of it online that I can listen to? I am currently studying Ma Digital Media: Technology and Cultural Form and am very interested in this subject. Many thanks. Hi Debbie – thank you for the comment. I would check with the Oxford Union. If anyone has a copy of the debate, it would be them. Unfortunately, I don’t have a recording.